Seven American crew members of a U.S.-run cargo plane, bound for Dubai, were killed yesterday when the plane crashed shortly after take-off from Bagram air base near the Afghan capital of Kabul. It was all captured on a dashboard mounted videocam. It was a 747, the appears to have stalled during its climb. In a statement, the Taliban claimed responsibility for the crash, but NATO's International Security Assistance Force (ISAF) said there were no reports of insurgent activity in or around the base, which is one of the largest in the country and located about 25 miles north of Kabul. 'We did lose all seven crew members,' a spokeswoman for National Air Cargo told Reuters by telephone from Florida, where the company is located. Temple columns in Beit Shean (illustration image). The initial discovery was made by Benjamin Troper, the training coordinator of the Kfar Etzion field school, who suddenly, while aiding a troubled tourist down a deep cave south of Jerusalem, turned to look at the nearby wall and saw an ancient stone column. What he saw was a bona fide ancient column with a capital, which he recognized from his years as tour guide and from the time he spent working in excavating ancient Jerusalem. That’s the story of a remarkably rare archeological discovery, which no one has heard about. For some reason, possibly political, the Israeli authorities have been trying to silence this discovery which could usher in a breakthrough in our understanding of the periods of King David and his son, King Solomon. The column capital Tropper ran, or rather climbed down into, is very likely part of a complete temple or palace buried underground. Tropper, who expected nothing short of a medal for his fortunate discovery, called over the field school’s director, Yaron Rosenthal, who in turn alerted a senior employee of Israel’s Antiquities Authority. But no medals were to come any time soon. 4th Amendment sacrificed for 'security'? WATERTOWN, MASS. 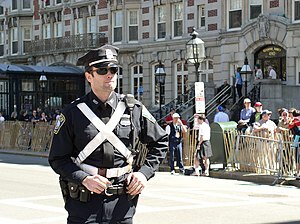 – On Friday, April 19, 2013, during a manhunt for a bombing suspect, police and federal agents spent the day storming people’s homes and performing illegal searches. While it was unclear initially if the home searches were voluntary, it is now crystal clear that they were absolutely NOT voluntary. Police were filmed ripping people from their homes at gunpoint, marching the residents out with their hands raised in submission and then storming the homes to perform their illegal searches. This was part of a larger operation that involved total lockdown of the suburban neighbor to Boston. Roads were barricaded and vehicle traffic was prohibited. A No-Fly Zone was declared over the town. People were “ordered” to stay indoors. Businesses were told not to open. National Guard soldiers helped with the lockdown and were photographed checking IDs of pedestrians on the streets. All the while, police were performing these disgusting house-to-house searches. The Turin Shroud is not a medieval forgery, as has long been claimed, but could in fact date from the time of Christ's death, a new book claims. Many Catholics believe that the 14ft-long linen cloth, which bears the imprint of the face and body of a bearded man, was used to bury Christ's body when he was lifted down from the cross after being crucified 2,000 years ago. 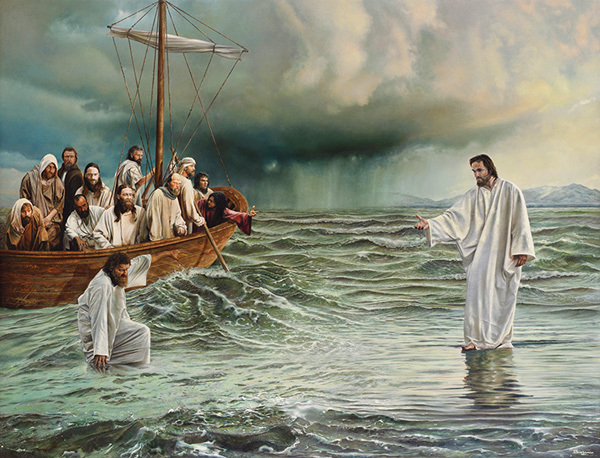 Some 2,000 years ago, the Sea of Galilee in Israel became famous as the Bible says Jesus and His apostle Peter walked on top of the water in a spectacular miracle. Now, a mysterious find from beneath the surface is bringing new attention to the ancient body of water. Scientists have discovered a massive, “monumental” structure on the sea’s floor, leaving experts puzzled as to what it actually is and how and when it became located there. The structure is basically a cone-shaped pile of boulders with an estimated weight of 60,000 tons, which is heavier than most of today’s warships. Its height is nearly 32 feet, with a diameter of approximately 230 feet. In comparison, the outer stone circle at the well-known Stonehenge monument in Britain has a diameter just half of that. Additionally, the tallest stones of Stonehenge don’t reach as high as the Sea of Galilee structure. 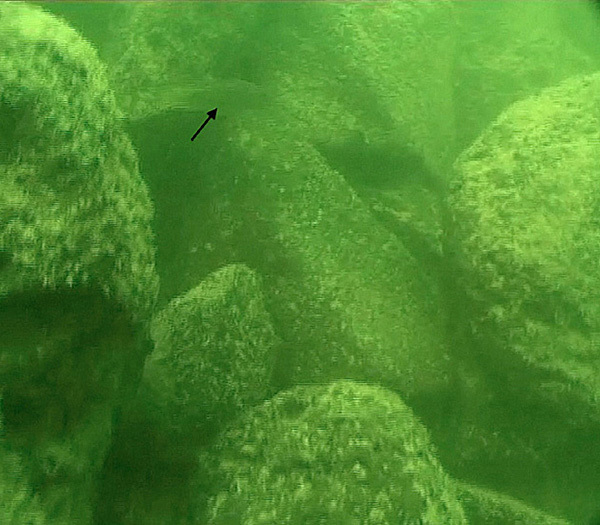 “Close inspection by scuba diving revealed that the structure is made of basalt boulders up to 1 meter long with no apparent construction pattern,” the researchers explain in the latest edition of the International Journal of Nautical Archaeology. 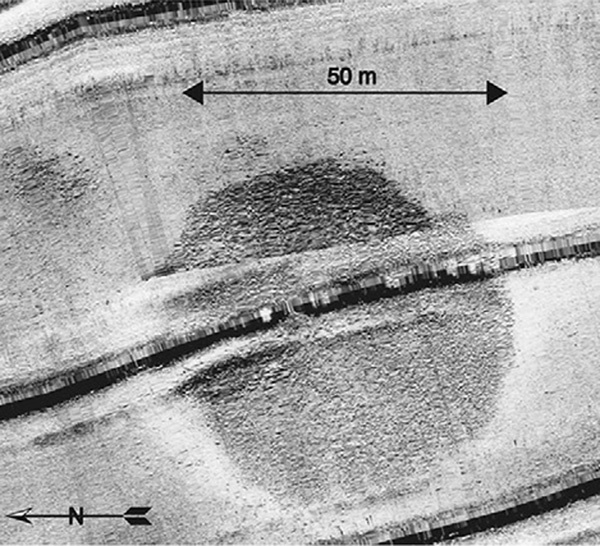 A sonar mapping of the sea’s southwestern portion first detected the structure in the summer of 2003, and divers have since investigated the site in person. “The shape and composition of the submerged structure does not resemble any natural feature. We therefore conclude that it is man-made and might be termed a cairn,” the researchers say. They explain there are questions that remain to be answered with certainty, including precisely when it was built, its purpose and use, and if it had been built as an underwater installation or on land during low lake levels and later submerged. Because of the massive size of the structure, the scientists conclude “the effort invested in such an enterprise is indicative of a complex, well-organized society, with planning skills and economic ability. “The possible relation of the submerged stone structure to the ancient settlements along the shores of the Sea of Galilee is of great importance. Flourishing settlement systems existed along the shores in the Bronze and Iron Ages, between the 4th and the 1st millennia B.C. Urban centers such as Bet Yerah, Tel Hadar and Bethsaida were the prominent settlements in biblical periods. Researcher Yitzhak Paz, of the Israel Antiquities Authority and Ben-Gurion University, told LiveScience he hopes soon an underwater expedition will set out to excavate the structure, searching for artifacts to try to determine its date with certainty. He said the Israel Antiquities Authority has a research branch capable of excavating it. “We will try to do it in the near future, I hope, but it depends on a lot of factors,” he said. Even though deciding which TBTF is the worst is like a having an ugly contest between Cinderella’s sisters, Wells Fargo may deserve pride of place. Yes, the Vampire Squid sorta owns the government. JP Morgan has too many people believing it didn’t need a bailout during the crisis. Ahem, what about a $76 trillion derivatives clearing operation don’t you understand? If AIG or Morgan Stanley had failed post Lehman, JPM would have been next. And it is the most aggressive bank I have come across in the “gotcha” fees and bait and switch as far as retail customers are concerned. But Wells is sanctimonious and too often has taken the position that it is less badly behaved than other banks, which grates on me. 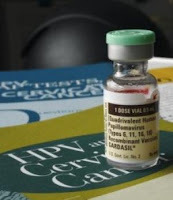 It has played fast and loose with its balance sheet reporting, and has lied to Congressional staffers, claiming it hadn’t engaged in robo signing when there were depositions in the public domain to the contrary. Wells Fargo & Co (WFC), JPMorgan Chase & Co. (JPM): Will Banks Be Increasing Dividends in the Near Future? written by Ron Trowbridge, the undersheriff of Prowers County, Colorado, started sweeping some of the viral corners of the internet. It alleges that a Colorado State Police training encouraged law enforcement officials to look at Bible-believing Christians with intense skepticism." This weekend, an email written by Ron Trowbridge, the undersheriff of Prowers County, Colorado, started sweeping some of the viral corners of the internet. It alleges that a Colorado State Police training encouraged law enforcement officials to look at Bible-believing Christians with intense skepticism. posted on the conservative site Red Statements;were seemingly unbelievable. But TheBlaze reached out to Trowbridge to confirm that he wrote the note and to speak further about its contents." At first glance, the startling allegations in the letter, which was first posted on the conservative site Red Statements, were seemingly unbelievable. But TheBlaze reached out to Trowbridge to confirm that he wrote the note and to speak further about its contents. Britain's first and only female prime minister Margaret Thatcher has died peacefully following a stroke at the age of 87. Everywhere from FoxNews.com to CNBC.com, I suddenly see commentators warning of pending doom, economic collapse, and a new Great Depression. Welcome to my club. Perhaps America's politicians and economists should have paid attention to an entrepreneur and small businessman that has been warning of economic collapse and a new Great Depression publicly for over two years. More importantly, none of the current commentaries mention the "why's" of this slow motion economic collapse...beyond the obvious -- mountains of deficit and debt. None of them mention the dysfunctional structure of the current U.S. economy and the massive changes in the work ethic and mindset of the average American. I come home from work at 10:00pm, and I microwave some leftovers for dinner. As soon as I turn to the table, the bowl falls out of my hand and directly onto the floor where it shatters into four or five large pieces. Fortunately, there were only two shards, so it was easy to clean up. Thus, I write without my dinner. Between commercials during each episode, I have commented about the series on Facebook. Afterward, I use my comments as notes or an outline for my blog post. Each blog post is written after days of consideration. Originally, I wanted to make it immediate, but life issues delayed it until Thursday. Then, I realized it was much better to just wait. The Pharisees claim to uphold a strict and ridged adherence to the Law, but they tend to break the Law when it serves their own self-interests. Even though the Pharisees have convicted Jesus of blasphemy, Caiaphas remains troubled about what to do with Him. The law is clear: stone him. However, he does not want to stone Jesus for fear of His supporters rioting. Pilate has the authority and power to kill Jesus; if the people protest and riot, they would be massacred. If Pilate kills Him, it would absolve him of guilt in eyes of the people. Furthermore, the people would be too terrified of a massacre to protest, so there would still be peace. Caiaphas goes to Pilate and informs him of a dangerous criminal threatening Rome and Judaea. Pilate considers this the High Priest's problem and states bluntly, "then kill Him." Caiaphas: it would make us impure for Passover. As a general rule, if anything is covered en masse by the mainstream media, then I tend to believe that which I am watching is actually one long promotional spot. The same could potentially be said for Bitcoin as over the past months its popularity has grown so much that “anarcho-capitalist...Libertarian...Freedom Fighter against mankind’s two biggest enemies, the State and Central Banks,” Dollar Vigilante Chief Editor, Jeff Berwick, has been on CNBC, CNN, Fox News, and BBC, and other mainstream outlets. What brought on this sudden attention? No, not our anarcho-capitalism, but our announcement of the world’s first BitcoinATM. So, is Jeff just a patsy so that the New World Order can bring in a digital currency? I began wondering this myself, and I came to what I think is a reasonable conclusion. Bitcoin: Is the virtual currency the new gold standard? BAGHDAD (TheBlaze/AP) — A British archaeologist says he and his colleagues have unearthed a huge, rare complex near the ancient city of Ur in southern Iraq, home of the biblical Abraham. The team first discovered the magnificent find using a satellite. Stuart Campbell of Manchester University’s Archaeology Department says the site goes back about 4,000 years, around the time Abraham would have lived there. It’s believed to be an administrative center for Ur. Transcript of a portion of Garner Ted Armstrong’s sermon “The Culmination of Prophecy” given April 13, 2002. WARS AND RUMORS OF WARS Was Iraq worth it? Civil war within 8 years? Poisson d'Avril, or "April Fish." French children sometimes tape a picture of a fish on the back of their schoolmates, crying "Poisson d'Avril" when the prank is discovered.
" Two Academic Reviews of my New Research in the Book "The Temples that Jerusalem Forgot." The first is from: Prof. James D. Tabor, Dept. of Religious Studies, The University of North Carolina at Charlotte, Charlotte, NC 28223. Given in May, 2000. 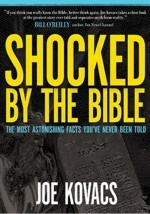 "When I first read of Ernest L. Martin's thesis that both the 1st and 2nd Jewish Temples, those of Solomon and Herod, were located south of the presently accepted Dome of the Rock location--down in the area of the ancient City of David over the Ophel spring, my reaction was short and to the point--impossible, preposterous!! Having now read his arguments I am convinced this thesis, however revolutionary and outlandish it first appears, deserves careful, academic and critical consideration and evaluation. I am not yet convinced that Martin has ironed out all the problems or handled all the potential objections, yet he has set forth a case that should be heard. His arguments regarding the size of the Fortress Antonia, based on Josephus and other evidence we have about Roman military encampments, must be addressed. He also makes a most compelling argument based on Luke, writing a decade or so after the 70 C.E. destruction, and obviously wanting to report on the lips of Jesus an accurate prediction of the state of things regarding "not one stone left upon another" in the post-War city of Jerusalem. Historians of the Byzantine, Islamic, and Crusader periods are more qualified to judge his arguments from subsequent epochs, however, my initial reading of Martin's presentation has left me with the same impression--all of this evidence needs to be reexamined in the light of this radical proposal. Martin's thesis is so bold, so utterly non-conventional, and so potentially upsetting, radically altering central aspects of the theological, historical, cultural, and political understanding of Jerusalem and its holy places, it should not be ignored. I hope Martin's book will begin a most interesting debate and critical discussion of all relevant issues." The second is from: Dr. Michael P. Germano, Editor, bibarch.com. Professor Emeritus Ambassador University, a graduate of the University of Illinois at Urbana-Champaign, and who holds earned doctorates from the University of Southern California and the University of La Verne. He has completed post-graduate study in anthropology, archaeology, and theology at Southern Methodist University and Texas A&M University at College Station in Texas. You can contact him at PO Box 2494 Cullowhee, NC 28723-2494. It is my pleasure to recommend his excellent BibArch Web Site that explores the world of biblical archaeology. It is fully scholarly and is at http://www.bibarch.com ]. Given in May, 2000. "This is an unexpected, exceptional analysis of the historical and archaeological data of the Temples of Jerusalem. This new explanation of the venue of the First and Second Temples provides the solution to heretofore incongruous statements in Josephus with the evidence of the biblical and archaeological records. Not only a work of significant scholarly impact it may well serve as the awaited stimulus for the building of Jerusalem's Third Temple by shifting our collective focus from the Haram esh-Sharif to the area of the Gihon Spring."